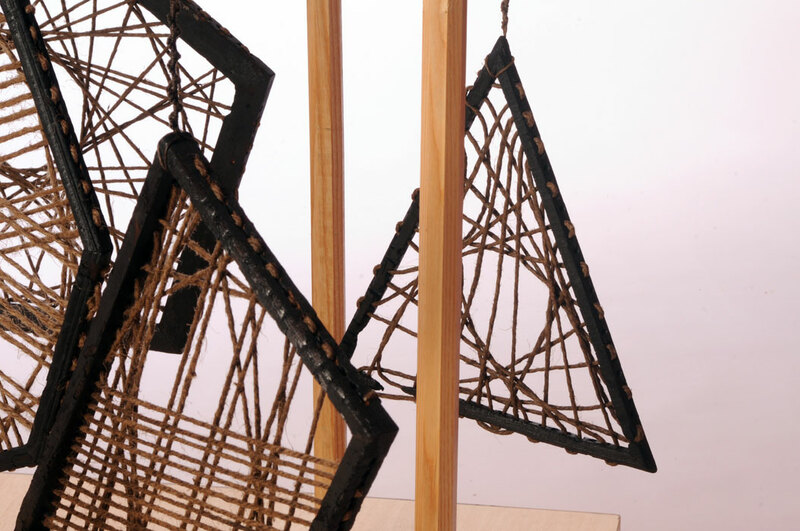 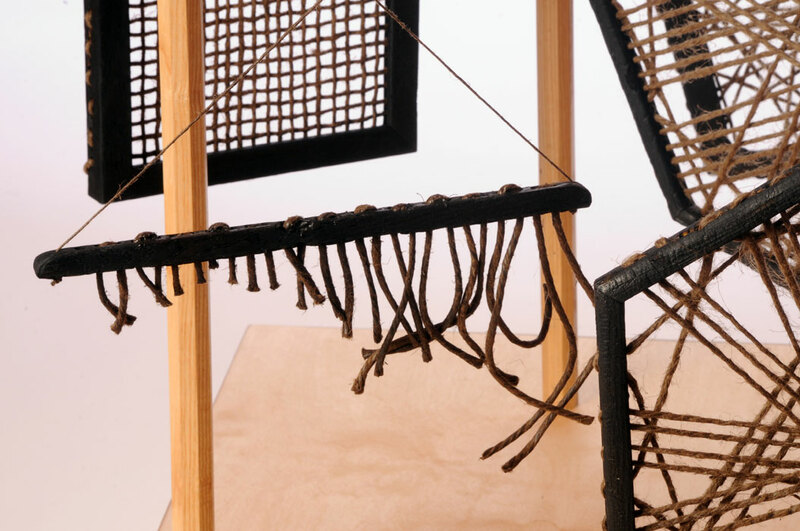 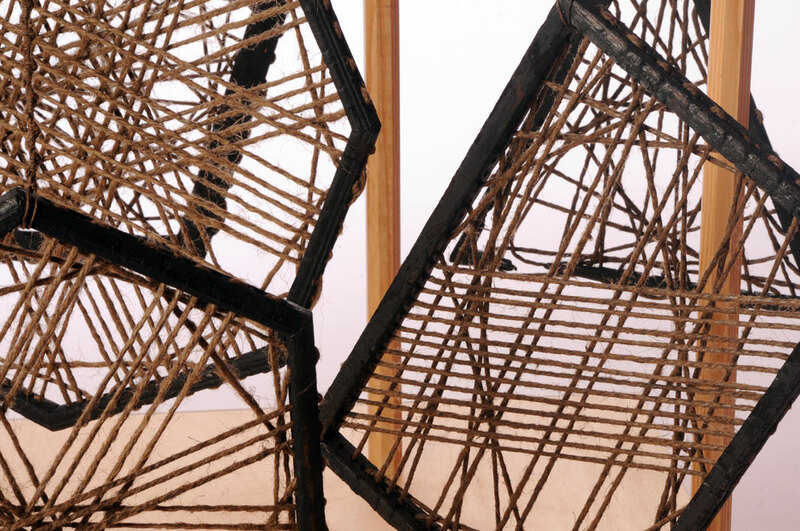 This series of sculptures captures the ongoing relationship Edward Crumpton has with the material, tarred marlin rope. 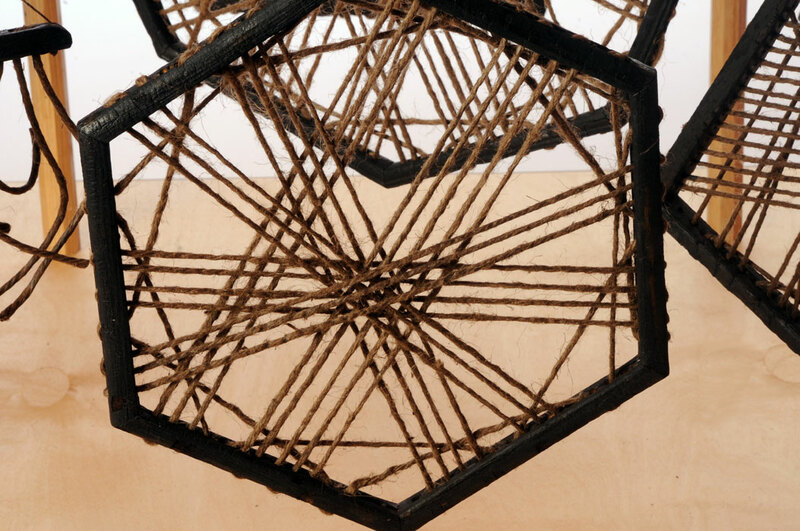 Edward discovered this material when he undertook research into an ancient walk called the Mariners Way and found that this type of rope was regularly used on traditional sailing ships. 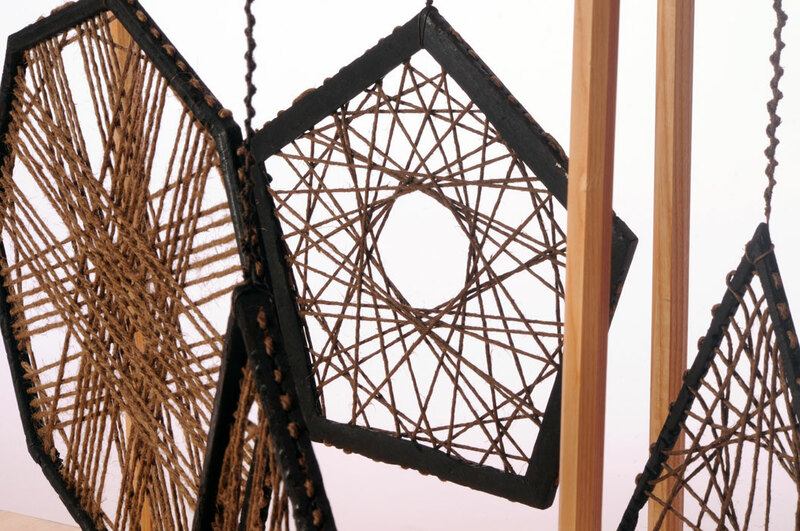 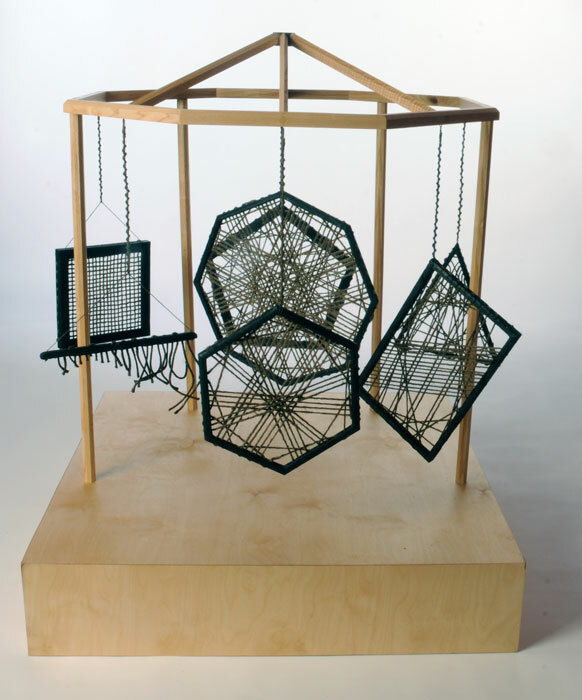 With this material, he intends to use the rope as a line to create diverse patterns, objects or structures. 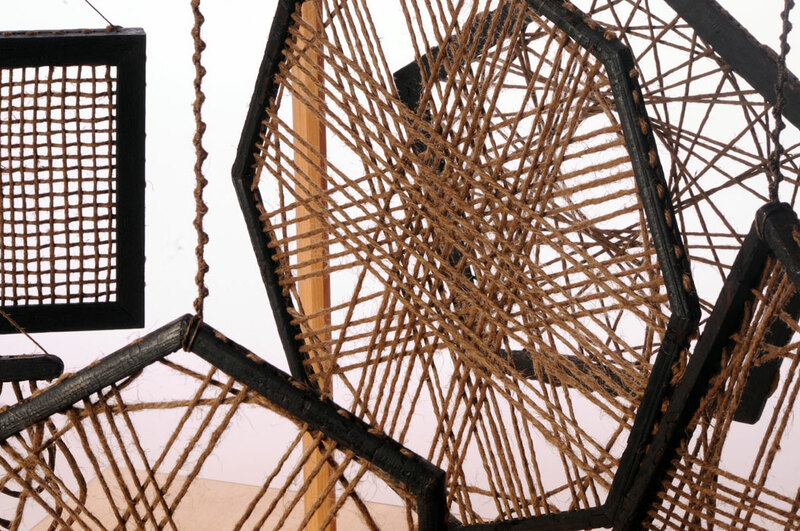 These rope line artworks can be displayed in front of sunlit windows, allowing the light to create interesting shadows across the internal space.